New skin label on the grid – Dessee’s Skins! Lately I had the honor to model for some of the vendor pics of a new skin designer – natalie wells, designer and creator of Dessee’s Skins. 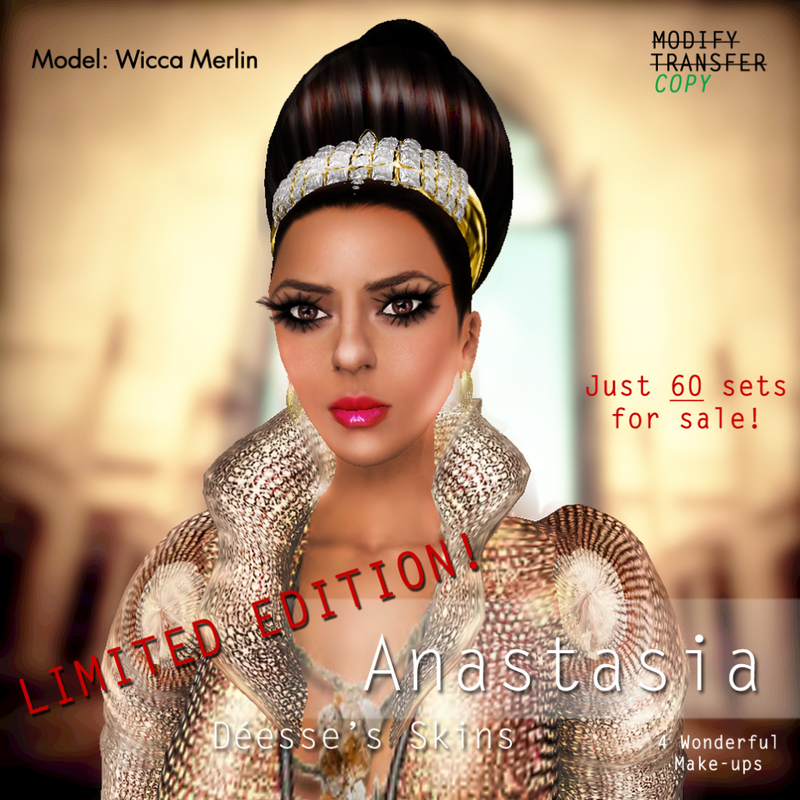 Beside the ‘normal’ skins you can find as well amazing limited skins at Dessee’s Skins. This entry was posted in Fashion and tagged 3D, 3D people, Art, Blog, Blogger, Clothing, Couture, Dessee's Skins, Fashion, Female Clothing, female wear, Formal, formal attire, male clothing, meta virtual, Model, Modeling, natalie wells, New, New Release, New Releases, News, photographer, Second Life, Secondlife, skins, SL, SL Clothing, SL Fashion, SL Style, Style, Virtual World, Wicca Merlin, woman. Bookmark the permalink.